In just a few easy steps, aspiring artists can learn to draw detailed, appealing images that celebrate every season. It's easy to sketch a springtime playground, a summer sandcastle, a fall squirrel with acorns, a winter sleigh, and many more images. You'll find 30 seasonal scenes in all. Use your new-found talents to embellish cards, gifts, flyers, posters, crafts -- the creative possibilities are endless! 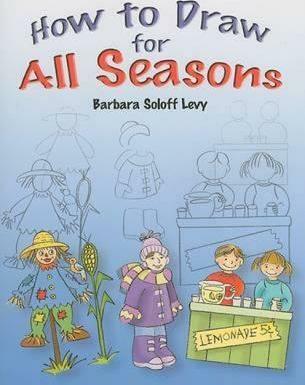 Barbara Soloff Levy has created over two dozen -How to Draw- guides for Dover, plus many other activity books. Since retiring from her job as an elementary school art teacher, she devotes much of her time thinking up new ideas for this popular series.